A simple trick for dressing up plain curtain panels is to add some ribbon or trim along the edges. 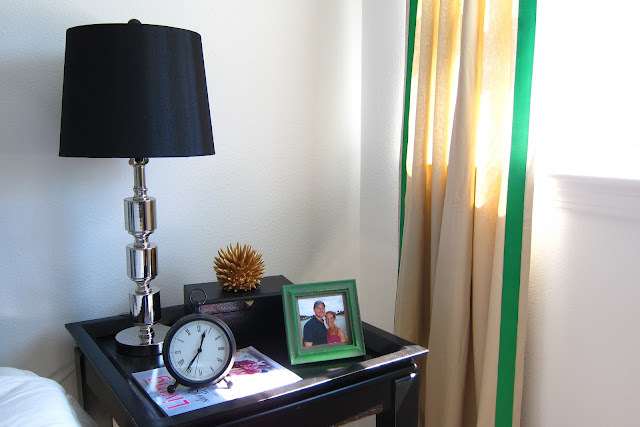 It gives the curtains a much more custom look and allows you to highlight an accent color in the room. This is a relatively quick project, and only requires a few materials. No sewing machine required!! 2. Iron Heat N Bond strip to ribbon or trim (make sure to hold iron in place for several seconds along entire length so the Heat N Bond completely adheres to your ribbon), let cool, then peel paper backing from Heat N Bond strip. 3. Place ribbon with Heat N Bond side facing down on top of your curtain panel. Patiently press and hold iron down over each segment of your ribbon/trim. I held it down for about 10 seconds for each segment, moving along the entire length of the ribbon. Let cool before you pick up the curtain panel. Voila! A quick project that can really put the finishing touch on a room. The trimmed out panels look way better than plain beige curtain panels, right? I've really enjoyed the color the ribbon adds to the space. 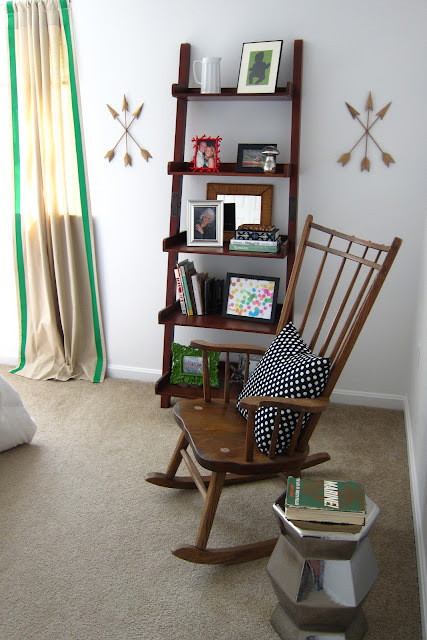 And, it adds the perfect amount of preppy-ness to the space. Wow! 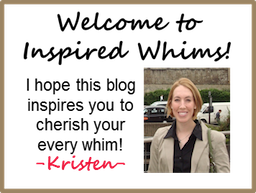 great instructions, thank you, Kristen! I really want to do this to new curtains! Cheers!